Basking shark Code of Conduct. ..the west coast of Scotland such as here in Gunna Sound, between Coll and Tiree. Indeed the Shark Trust blog has recently reported a flotilla of approximately 52 basking sharks off Hynish on Tiree. 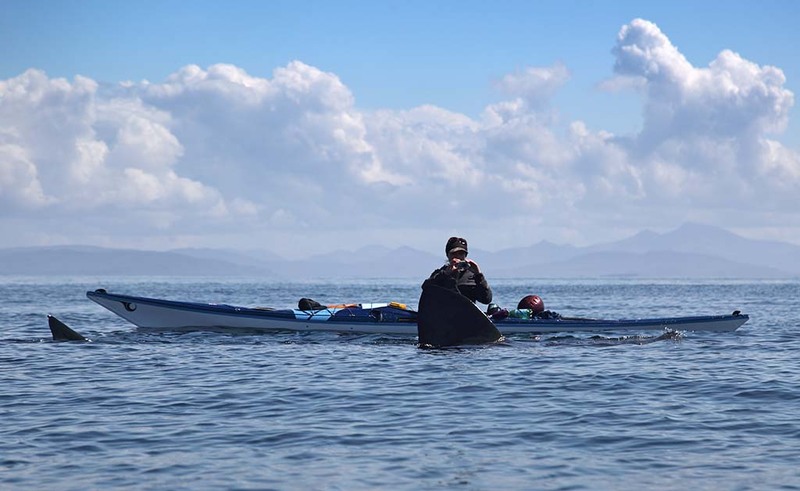 The Shark Trust have just produced a Code of Conduct for kayakers who come across basking sharks. You can download the full size pdf file here. a group, rather than stringing out around the sharks. can maintain their course without changing direction or speed. use your paddle or kayak to touch a shark. enormous power. Also be aware that Basking Sharks do breach. observe, there is a good chance they will come to you. 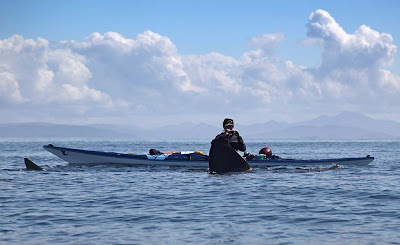 I recently wrote an article for Ocean Paddler magazine entitled "Close encounters... of a marine kind." (This was not my photo! It was taken by Linda Pitkin, a specialist underwater photographer.) I discussed basking sharks and how to avoid disturbing them in the article, which you can download in pdf form here. 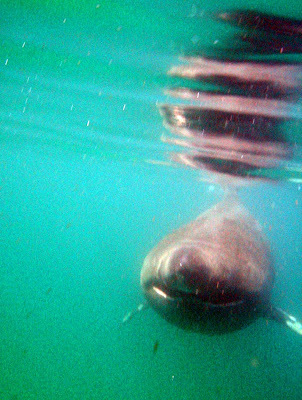 The Shark Trust have a basking shark project and would welcome any sighting reports especially when accompanied by photos but remember to switch the flash off, if you use the camera underwater!